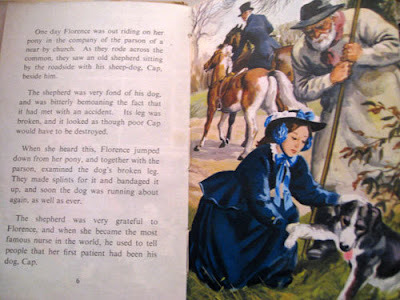 Mrs C of Being Mrs C today announced the start of Ladybird Tuesday where each Tuesday she plans to share one of the vintage Ladybird books from her collection and tell us a bit about it. It's a brilliant idea so I'd like to share one of our vintage Ladybird books in this post. Florence Nightingale is a Ladybird series 561 book. Series 561 was produced between 1940 and 1980 and was one of the more popular series. The first 23 titles of the series, 19 of which were produced with dust-wrappers, were all written by L Du Garde Peach and illustrated by John Kenney. 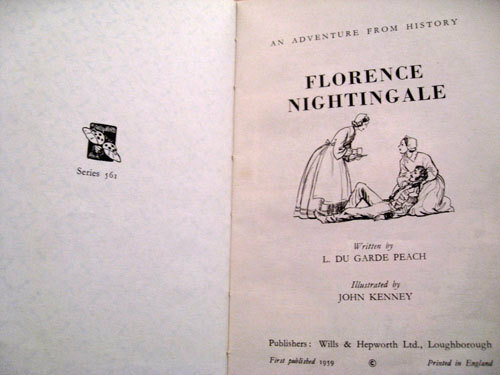 Florence Nightingale was first published in 1959 by Wills & Hepworth, written by L Du Garde Peach and illustrated by John Kenney. 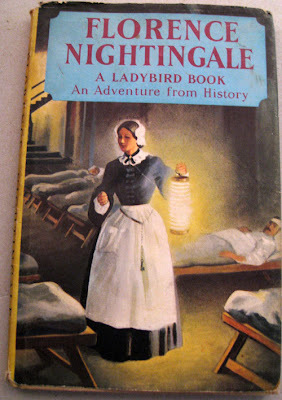 It's an adventure from history which tells the true story of Florence Nightingale, The Lady with the Lamp. "The nurses and hospitals of the whole world owe a great debt to Florence Nightingale, one of the greatest Englishwomen who ever lived. Her name has always been associated with the Crimean War, but it was her patient work during a very long life which made our hospitals what they are today. This is her story." I saw Mrs C's post and your reply and love this idea too. 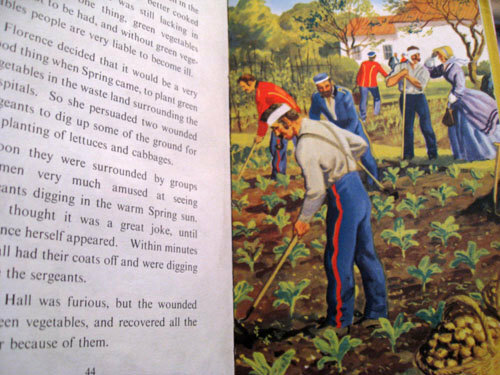 I also have a collection of Ladybird books, I guess we are showing our age. As I have now missed this Tuesday maybe I can join in next week? Mrs C had a great idea didn't she Mrs Fox and it's so nice that she doesn't mind us joining in. if you do a Ladybird Tuesday post I'll add a link to it on my post. Please could you provide all the pages of this book? Essentially curious about all things I have started this blog as a record of things that inspire me. I hope this site will also be an inspiration to those who visit.